A deep garnet red colour with well-blended fruit aromas of raspberry and blackberry and a hint of liquorice on a spicy background. The palate is both velvety and generous with supple fruit. 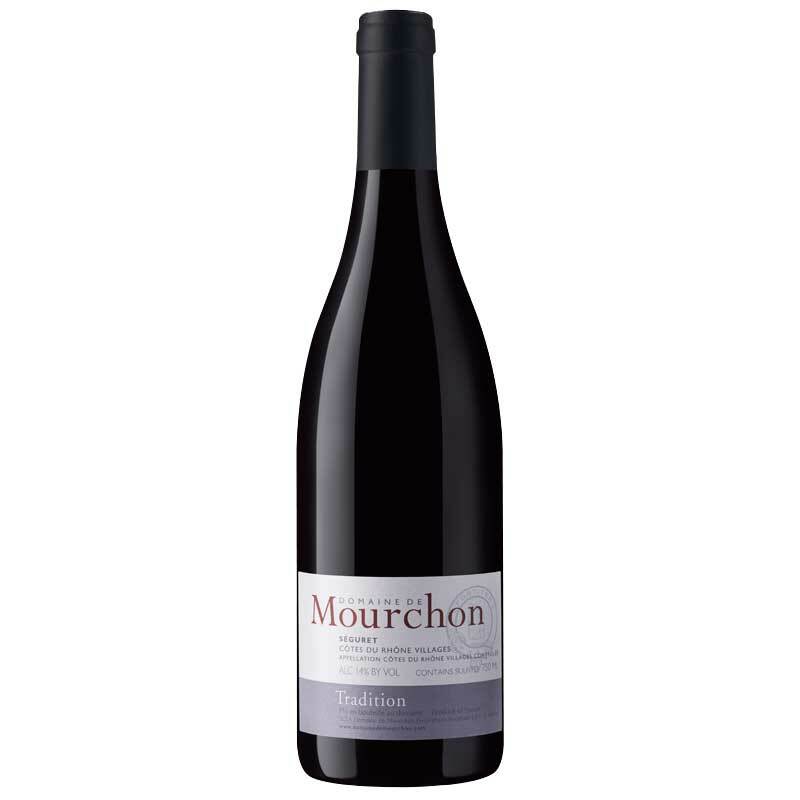 Set in a secluded valley between the picturesque village of Séguret and Mont Ventoux, Domaine de Mourchon was created by the Scottish McKinlay family in 1998. The vineyard had some twenty hectares of mature vines but no facility to make wine so, using modern technology and high standards, a winery was constructed and completed in 2000. The terraced hillside vineyard, at an average altitude of 350m, is based predominately clay and grey limestone which, combined with a microclimate, gives the location a terroir of unique quality. Careful husbandry using natural and organic techniques – ‘agriculture raisonnée’ as it is known in France – in conjunction with combined traditional and advanced methods of vinification results in a well structured wine with pronounced fruit aromas and strong colours. The wines of the Domaine now receive international recognition and praise.